Agave parryi truncata…one of my purchases on the recent visit to Cistus. 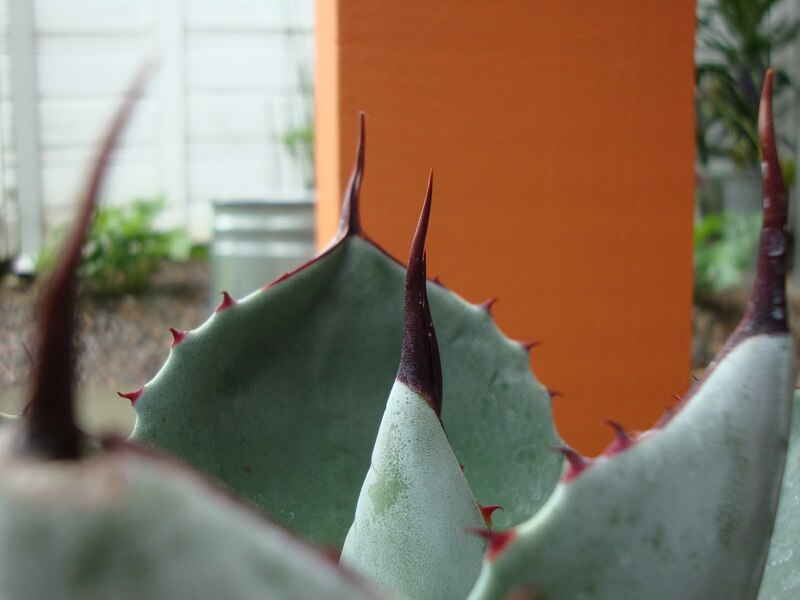 Oh my…what sharp spikes you have! That's a beauty, Loree. It looks to be a nice size, too. I love mine and it's doing really well. Now all we need is some real sun and heat, and all the agave family will come out to play. oh dangerous but beautiful! Love the pot too! Love it, and the pot! What a great combination. Is that a new pot too? That's one of my all-time favorite plants! They look incredible once they become a large rosette of blue-gray spiky leaves. and what a pretty home she has now! I love that one. The texture on the leaves is the best. Laura, Sylvana and Nicole, thanks! Patricia, it is! When my friend Erin was visiting we went down to the Gardeners Choice so she could stock up on cheapish containers. She bought a few turquoise ones that I loved...shortly after I found this one at Garden Fever. 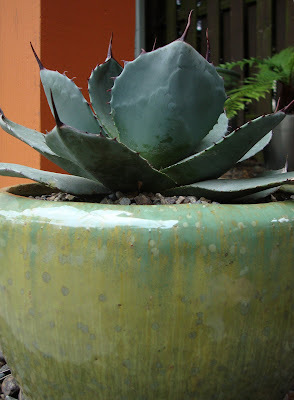 It had a bit of the same shade of turquoise on it and I figured it was a good compliment to the agave. Les, agreed! Naturally I wanted the huge one at the nursery that was already a large rosette, but it was not in my budget. Darla, 'she' huh? I like it. You know I did separate 3 little pups as I was planting it. Decided. 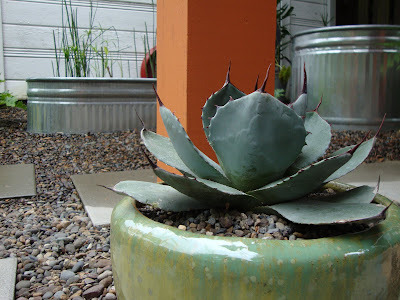 This agave is a she. Stephanie, yikes! I did that last year with the hose trailing along behind me. Isn't it a cutie! I have one of these little guys too.